Which trainers excel with their three-year-old’s in all age handicaps? Is Varian a master with his 3-Y-O’s? Yep, it’s that time of the year where trainers start entering their three-year-old’s into all age handicaps on a more regular basis and look to take advantage of the weight for age allowance. For us punters it can be a tricky time. It is far from easy determining how quickly any three-year-old is progressing. Three-year-old’s progress at vastly different rates. Different trainers bring them along and push them harder at different stages of their careers. Progeny of different sires mature at differing speeds. Plenty three-year-old’s need time to fill out into their frames. We also don’t know nearly as much about them as the more established and older runners they are running against. Some people simply avoid these types of runners or even go as far as avoiding the open handicaps that hold multiple three-year-old entries. I can relate to that. I’m far from a fan of diving in and trying to figure out the merits of 1) the race as a whole and 2) the individual three-year-old’s in question. There are plenty of unknowns. Unknowns can lead to guessing. If I’m regularly guessing with my analysis then I may as well play the National Lottery! Sometimes my hand is forced in such matters. For example in the BDH Members Area one of our UTR (Under The Radar) or BDH (Badly Drawn Horse) Squad members may end up running in a race that contains plenty of unexposed three-year-old’s. That isn’t too bad though as I will have a deep knowledge of the individual UTR or BDH Squad member in question and I’m primarily looking at their strengths and weaknesses rather than strengths and weaknesses of the other runners in the race and the make-up of the race as a whole (where normally it would maybe be a 50-50 split on runners and race this would be more like a 75-25 split on runner and race). That method works for me (and my subscribers) and I have developed that particular skill over years of study. However, the three-year-old’s entering into handicaps against their elders has always fascinated me, particularly from a trainer perspective. It’s pretty obvious that some trainers have mastered this skill more than others. But who has this down to a fine art and who struggles with the placement? Well today I’m going to tell you three trainers that excel with three-year-old’s in all age handicaps. The three trainers who the stats tell me have mastered the tricky skill of placing their three-year-old’s with pinpoint accuracy and that we should be following in this discipline to boost our profits. In a couple of days time I will also tell you three trainers that struggle with the placement of their three-year-old’s in open age handicaps. And remember, knowing who hasn’t mastered the skill is just as important as knowing who has mastered the skill. You really don’t want to be throwing you cash at a trainer who is taking pot-shots with his youngsters, do you? Anyway that’s for another day. Today I’m concentrating on those that make this angle pay, which in turn means we can make it pay. **For this particular report I have only considered Turf races run in the UK. 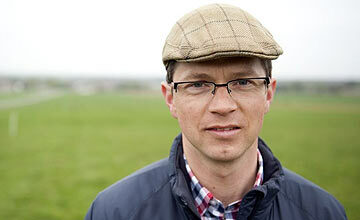 Roger Varian has wasted no time in making his mark in the training ranks. He inherited a fabulous set-up from his mentor and boss Michael Jarvis but that is no guarantee to success and he deserves full credit for the his achievements since taking over the reigns. On their own those are pretty hefty figures! We don’t really have to dig too deep to enhance those stats as they do stand up supremely well on their own. It only slightly enhances the strike-rate but they are firing 56% above expectation so they do offer plenty of value. Last time out winners are always likely to catch the attention of the wider betting public and this more focused approach does enhance the strike-rate. It is probably no surprise to see the shrewd Italian on this list. He is an expert at firing a lightly raced type at a valuable handicap and his three-year-old stats only serve to back that up. Not quite the same level as Varian but strong figures nevertheless. A 45% win strike-rate and a 70% win and place strike-rate are phenomenal! This sub-set of his string clearly want things on the fast side, as do we so that we can take a chunk of that profit. His last 12 runners at Yarmouth have produced 6 winners and his last 6 runners at Doncaster have produced two winners and 4 further placed runners. He isn’t going to these tracks with his 3-Y-O’s just for the day out! A lot of his 3-Y-O runners in these races are well found in the market but that doesn’t mean they are not profitable and they do fire 31% above expectation. Ed Dunlop has has a bit of a quiet season so far but he did manage to fire in a Royal Ascot winner and he has stated that the bug in the yard that was holding them back does seem to have been cleared up. That is good news as he is a trainer that excels with his 3-Y-O’s in all age handicaps. Dunlop fires healthily above expectation with these types and he is certainly well worth keeping in mind. Regardless of where or what type of race they ran in last time concentrating on these types when they line up in an all age handicap have been a rich source of Dunlop profits. These guys fire at a mammoth 137% above expectations! Dunlop may well be hanging on to a few of his 3-Y-O’s until the mud starts flying again. Either that or he will be doing a rain dance before bed each night!! Ed Dunlop sends his BIG BONED into an all age handicap tomorrow in the 2.15 at Leicester. These three trainers will be my ‘go to guys’ if I fancy getting involved with the youngsters when they step into the all age handicaps. Don’t get me wrong, I’m not going to be diving head first into them and completely transforming my approach to punting. I will, however, be looking to at least dip my toes into the water with a view to expanding my punting arsenal, albeit a few new foot soldiers rather than an entire new infantry! Stay tuned and in the meantime have some happy punting! Very interesting info thank you. Do you have the same stats for horses from these Trainers that have not yet won as 3-year-olds? I see that Reesha has form figures of 412 which presumably will affect the handicap rating and probably the odds. I don’t have access to that info at the minute I’m afraid. Would be interesting to find out the stats though and I will have a dig about. Just a quick note of thanks for the systems and analysis. I emulated your results to create a set of systems and lo up came Lawyer which came in for me yesterday at Windsor! Not exactly an emphatic win and rain had led to a number of non-runners but a win nonetheless. Also was on a summer stunner Ballybough Gorta which was placed so a profitable day. There may be other small changes to be made to the mini angles within the trainers as the season progresses, I’m very much viewing these trainer trends as the starting point of long-term analysis. Ballybough Gorta ran a superb race (hit around 1.09 in-running) but I also believe he had a bit of a tack issue around half-way, maybe making things tricky in the closing stages. I’m hopeful he can bag us a win before summers end. It’s an angle I’ve wanted to explore for a while now, hopefully it will prove to be profitable over the summer months. Unfortunately I was on holiday so also couldn’t take advantage!